Lorenzo Woodrose spend a good deal of the first 6 months of 2009 in Studie 73 recording this Baby Woodrose album. This time he recorded almost all instruments himself and together with producer Johan Gellett they created a new Baby Woodrose sound that probably surprised quite a few people. When Baby Woodrose released their debut album “Blows Your Mind” in 2001 it was a one-man operation by Lorenzo Woodrose who wrote the songs, played all the instruments, produced it together with The Moody Guru and released it on his own record label. With “Baby Woodrose” Lorenzo is now back to basics. 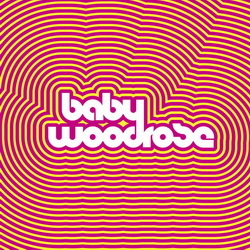 Every Baby Woodrose album is different. Working in a new enviroment and with new people has resulted in a new sound that is more punchy, straight and to the point than on previous Baby Woodrose albums. The songwriting of Lorenzo Woodrose remains the same though and on “Baby Woodrose” we get to hear a fine blend of fuzzed out garagepunk and beautiful melancholic songs. The broken Kinks riff in “No Mas” is a solid punch in the face while “Countdown To Breakdown” is an epic ballad of pure brilliance. And then there’s “Emily”, in Lorenzos own words the most commercial song he has ever done. Baby Woodrose have for many years toured and recorded as a trio but the past couple of years it has in reality been a Lorenzo Woodrose project. In the future Baby Woodrose will have a more fluent line-up both live and in the studio centered around Lorenzo. Originally released September 14th, 2009 on LP/CD and as download.